St John's College Boat Club hasn't added a story. It will be bigger and better than ever, with two ergs running for 24 hours! Running over the night of Tuesday 5th and through Wednesday 6th, members of the club will be pushing themselves to the limit of sanity, erging at unsociable hours for great causes. Please give generously to support the club and its charities and if you're in Durham be sure to come down to support our rowers and buy some cake, lovingly prepared by members of the club. Teesdale and Weardale Search and Mountain Rescue Team, provide a search and rescue service for the whole of County Durham, from the high fells in the West to the coastal communities of the North Sea. The team, including our deputy principal Anne Allen, respond to requests by the police to a range of incidents, from injured or lost people in the hills to vulnerable missing people in urban settings. The money we raise will help to meet their £35,000 annual operating costs, and allow them to buy new equipment, from rigging to computers for communication and tracking! The Peter Wake Trust was set up to support Peter after his tragic accident while he was a student at St John's. At the time of his injury, Peter was a 20 years old, a great rower and historian and the Captain of SJCBC. The Club is seeking to raise funds to help the Trust buy Peter a new Wheelchair accessible vehicle. 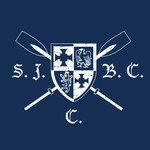 The SJCBC Fund is a board managed pot of money used to help the club achieve its long term plans. This is absolutely essential fundraising for the club, and will be used to help fund the refurbishment and repair of club equipment. St John's College Boat Club hasn't posted any updates yet. St John's College Boat Club is managing the funds for this campaign.